People who have oily skin are more prone to having pimples and acne breakouts than the others who have dry or normal skin. This is because of the excess oil (sebum) production in their skin that makes their skin oily, which easily attracts dust and pollutants. That in turn leads to acne breakouts! Well, acne can be embarrassing, and especially the scars that they leave behind are annoying to the core. While having a pimple or two is normal, excess acne is obviously undesirable and should be controlled. 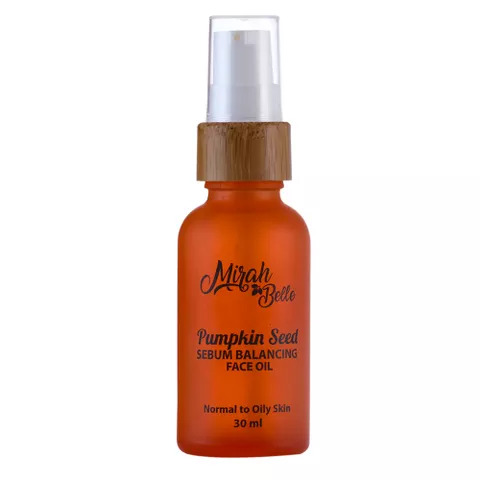 Try the Pumpkin Seed Sebum Balancing Face Oil to control the excess level of sebum production in your skin.